In the world of big data and HR analytics there is now a plethora of research and reporting, identifying and presenting both the hard skills and soft skills in demand. Admittedly most of this research comes from the US and Europe and therefore needs some further interpretation for New Zealand. We find there is variation in the hard skill requirements but with respect to soft skills it appears the whole world agrees. With anticipation we look to see if there is something new on the list. What are organisations looking for in their employees in 2019. But alas it’s the same old, same old. In the requirements for soft skills, Leadership is number 1 again, followed quickly by Communication, Collaboration and Time Management. I know it’s tempting to switch off about now. We have been hearing about leaders and leadership for years now. But why does it keep appearing at the top of the list. What is so special about leadership in the world of work today. Based on the amount of literature available on the subject there is obviously a lot of interest in the subject and there are many facets that can be considered, however there are two facets of Leadership that I think are always worth being reminded about. Leaders are not born, they are made! We all know people who were born with some of the competencies that are often recognised as important for strong leadership. They may be strong communicators with the ability to engage and influence others. They may be more decisive, able to make decisions more quickly and easily. This may mean they will take risks and not allow the fear of consequences to prevent them from following their deepest instincts. For some of us these competencies are less obvious and need development. The good news is, leadership can be learned. 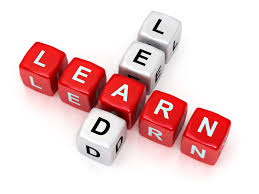 Developing all the elements that make up leadership may be a lifelong process but it is possible to learn leadership. Organisations are keen for their employees to always be learning and we can always be learning how to be a better leader. You need to master being the Leader of YOU, before you can effectively lead others. To be effective and valued in today’s organisation, every employee needs to develop skills for the leadership of themselves. To understand what I mean by this it is easier to examine some of the Leadership models used in organisations internationally. 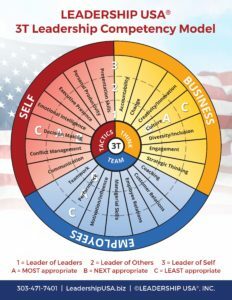 Using the Leadership USA model below the first thing to recognise is that there are a wide range of soft skills required to be a capable leader. These skills fall into three areas, self, employees and business. A well-rounded leader with responsibility for others will typically exhibit skills in all three areas. We don’t all have to aspire to leading people however it is in the “self ” area above that we should all at least focus on. These are the core leadership skills that are essential for the Leadership of YOU. Importantly, if you do aspire and wish to be recognised for the future leadership of people you must first develop the skills to show that you are an effective leader of yourself. 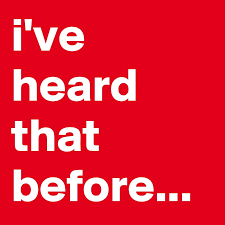 What will you learn in 2019? To lead others, you must first learn to be the Leader of You.